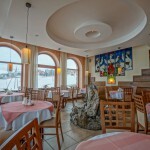 Redyk Centre of Hotel Services was built in local style of architecture that combines tradition with modernity. Natural materials such as wood and rock perfectly reflect mountain atmosphere. 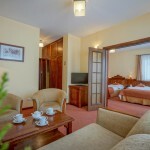 To our Guests we offer accommodation in standard of 3 stars hotel. 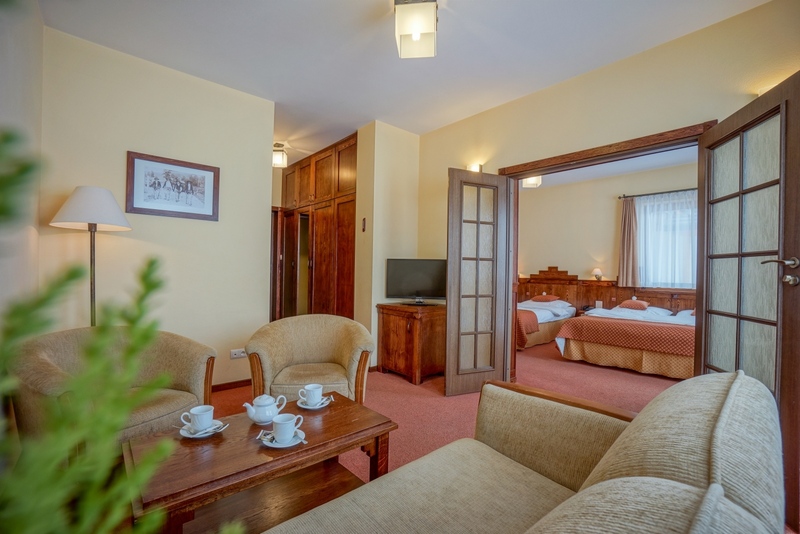 We have 21 comfortably equipped rooms (almost all of them have balcony with beautiful Tatra view), drink bar and restaurant, SPA zone, regeneration centre, conference room for 70 people. Next to the building: play ground, barbeque facilities and bike rental can be found. 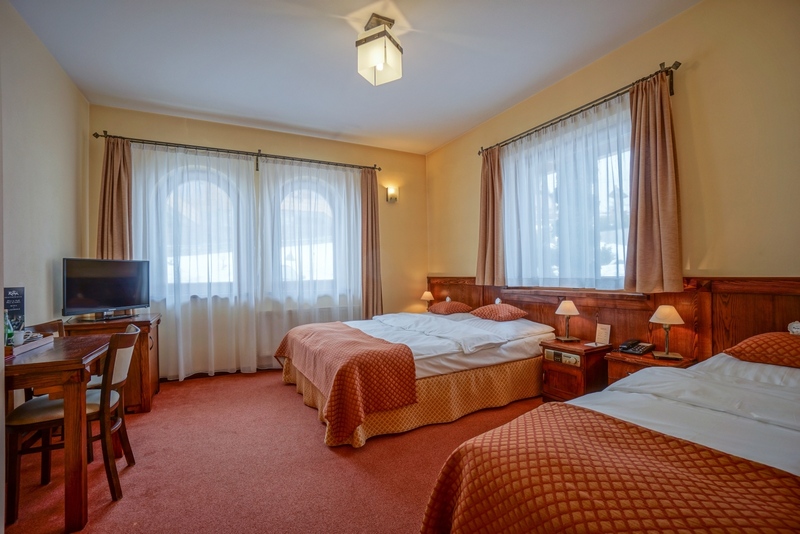 We offer 21 rooms that can accommodate up to 20 Guests (with extra beds). 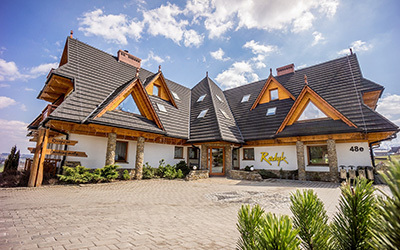 Redyk is a perfect place for accommodation for those who want to enjoy all the attractions offered by the Tatras ans Zakopane. Choose the best accommodation! 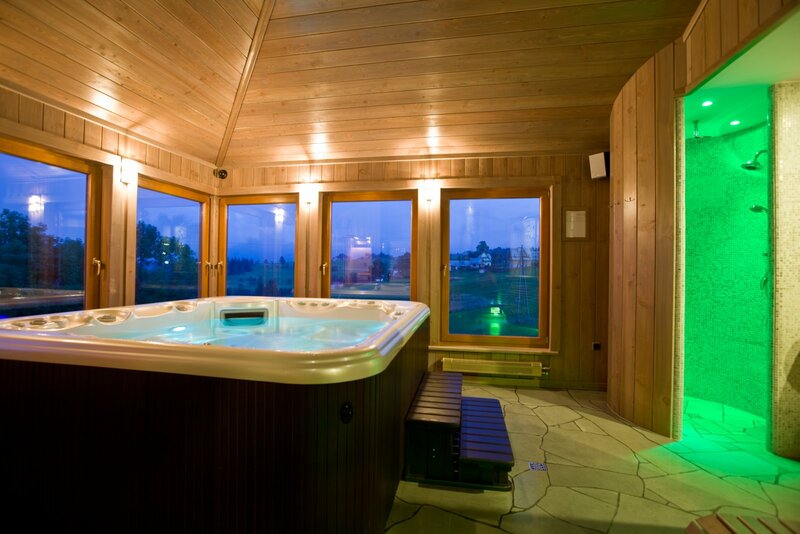 Zakopane is waiting for you! 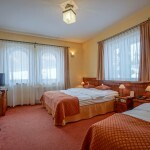 Rooms in Redyk will not disappoint even the most demanding Guests. Free Wi-Fi is available everywhere in Redyk. Redyk Hotel Serveice Centre is a perfect place for organizing conferences, training courses or incentive events. 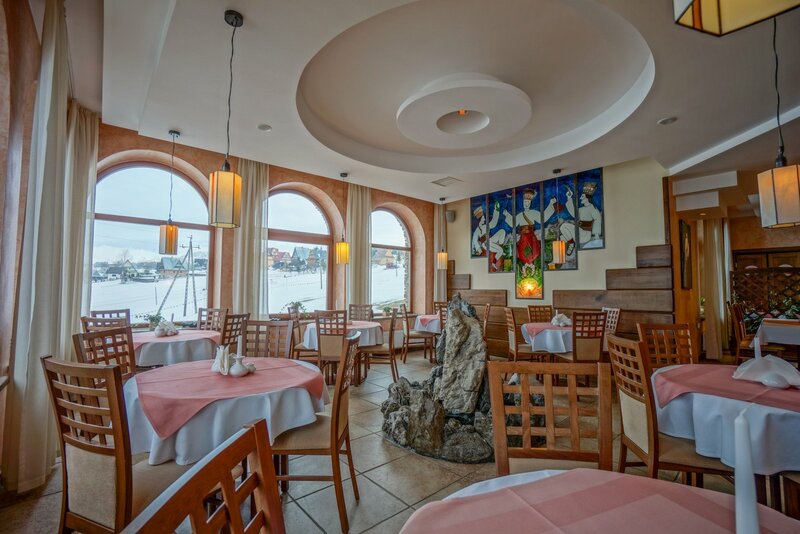 Unique atmosphere, professional equipment ans staff, grear selection of dishes in our menu, comfortable rooms will make your trip to Zakopane one of a king! We can live up to high expectations of all clients. We are aeger to help with organizning conferences. What is so special about us? Not only professional approach, high competences and high standards of our services but also individual client approach.